During our last planning session the Scouts made a decision that they wanted the adults of the Troop to plan a Mystery Campout. They wanted us to completely plan the campout but keep the actual activity and the location a secret. The Scoutmaster agreed and the date was set. David, who is an Assistant Scoutmaster in the Troop, was assigned the task of coming up with the plan and location and started planning. He decided that we were going to do a Search and Rescue scenario following a recommendation of a Troop Committee member that recently attended the Philmont Leadership Challenge. We decided that use our Council’s summer camp property as the location. The Leadership Scouts in the Troop were brought in on the plan so they could run the scenario and serve as the command center at the base camp. The older Scouts went through the specifics of the Search & Rescue Merit Badge and how to look for an individual that is lost on Saturday morning. 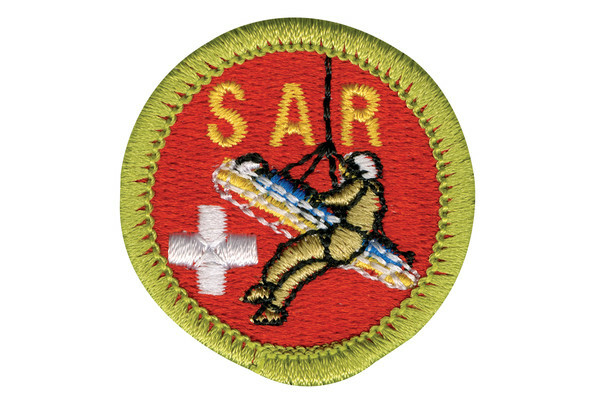 In the afternoon, “victims” were placed all over camp and clues were left that enabled the three search groups to go out and attempt to locate the lost individuals and then administer first aid as necessary. The Scouts were all given radios, maps and GPS units so they could relay their information back to the Incident Command (IC). While all of this was happening the new Scouts that had just crossed over from Webelos spent the day getting to know one another and their Troop Guides by working on joining requirements in the morning and in the afternoon they worked on their Totin’ Chip and Firem’n Chit. For many this was their first camping experience and from what I could hear they really seemed to enjoy it. After the SAR time was over everyone came back to camp and started on dinner and the Scouts got to work on their desserts for a Best Dessert Contest. The Scouts had a great time learning a real life skill and as a adults we learned an appreciation for doing the job they do every month. Thanks to everyone who helped make this campout fun. This has been a very good week in Scouting around our house. On Monday our youngest son, Cameron, earned the rank of Second Class. Not too bad for a Scout that just crossed over in February. Tonight our oldest son, Drew, had is Eagle project Proposal approved at the Eagle boards. We have been waiting a long time for this and we are stoked! Finally, Carly has begun work on her Girl Scout Bronze Award. The only downer is that once she completes it she has chosen not to continue on in Girl Scouts but is excited that our Venturing Crew I once again active and will be in full swing once she is 14. Mom and Dad can’t quit smiling! Just a quick update on Drew’s Eagle Project. He is headed to the Eagle Board of Review on Tuesday to have his project proposal approved. If it is approved he hopes to complete the project sometime in the next 30-60 days depending on his fundraising and donations. He will be rebuilding a parking lot and making it handicap accessible. The project is located at Camp Dakani which is a local Camp Fire camp. It has been a long road and hopefully he is just one step closer. This year Troop 168 attended camp at our Council owned camp, Slippery Falls Scout Ranch. The last time we were there was 2010. Before that it had been 9 years since our Scouts had chosen to go to Slip. This was my sixth Boy Scout summer camp as an adult leader. Of all the camps I have attended I have to say that this is the best camp we have attended since I have been in the Troop. One of the things (and there are many) that I will always remember about this summer camp is this was the first summer camp for my youngest son, Cameron. 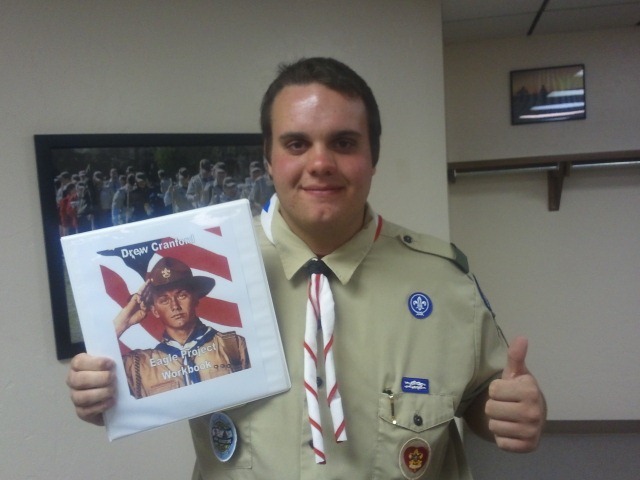 Another is that he earned Tenderfoot on the last night camp along with the rest of his patrol that were there. Many of the Scouts in his “new Scout” patrol were ready to advance with the exception of making a Patrol Flag. They created that at camp and then had Scoutmaster conferences and Boards of Review. This was also the first time I had to go to camp without my oldest son, Drew. My wife and him left on Wednesday of camp for their own adventure to the Florida National Sea Base. They got to spend the week on a 71′ schooner called Pirates Lady. They spent the week with other members of our Troop and District, snorkeling, fishing and sailing in the Florida Keys. I had a great time at camp with Cameron but I really missed not having Drew there. Next year will be the last opportunity I get to go to camp with my sons btoh still a youth in the program. I am looking forward to it and have been since 2007. 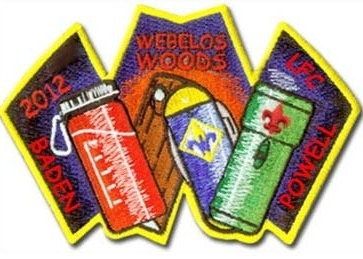 Webelos Woods has come and gone and I am quite sure that no one that was involved will forget it anytime soon. This year my wife, Suzette, served as the chairman for our district Webelos Woods. This was her first time to chair a district event and she did a great job. One of her main focuses was to turn the program back over to the Boy Scouts and let them plan and run the event. She succeeded in doing just that. The first thing you have to understand about Oklahoma is that some of the weathermen in will do and say anything for ratings. No matter what the forecast they ALWAYS have an angle for death the destruction. If the temp is supposed to be 82° and sunny they will manage to find some way to relate it to disaster. With that said we watched the forecast all week long and made plans according to what we saw. On Friday afternoon the weathermen started talking doom and gloom and our local Armageddon specialist, Mike Morgan and his bedazzled tie (he only wears it during bad weather), was really amped up. Being in charge of numerous lives it was decided to turn the weekend camping event into a Saturday day only and overnighter event. Even though our council recently installed 51 storm shelters across our council camps we felt inclined to error on the side of safety and stay home for the evening. Well they were right and a tornado hit the Norman area not long after the Friday night campout was canceled. Saturday came and most of the people showed up and had a great time. We shortened the program on Saturday and left the camping option up to each unit. We had callout for the Order of the Arrow that afternoon and ended with a campfire. I am sure that most of the kids will not remember the events of the weekend but as adults it will stick around a while. The last few days have been a nightmare for me and those around me in Scouting. Things have come totally unhinged and I wish I could have seen some things coming that I could have prevented but I cannot turn back time. But no matter what happens I still support and care for those around me. Through all of the things that have happened I have found myself scratching my head and wondering why in the world do I put myself through this kind of torture for something that is not mine and I am just involved in as a volunteer. I thought that it would just be easier to put the uniform in the closet and just leave it all behind. But then I remembered why I do what I do. I remembered that I participate in Scouting because of the kids involved in the program. I volunteer in Scouting for my kids but I am also here for the other kids in the units in which I am involved. I do this to help them grow to be better people and better citizens. I do it the see the smiles on their faces. I do it because I am not going to depend on someone else to do. I do it because it makes a difference! That is why I do this crazy thing called Scouting! 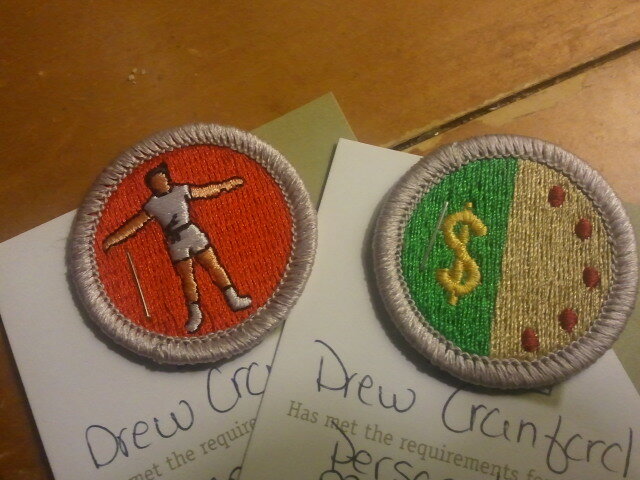 Drew's final Eagle required merit badges. I wrote last October about my oldest son and his Eagle project. When I wrote that he still needed to complete two merit badges and work on his project. Well I am happy to report that today at our Troop’s Court of Honor he received the last two merit badges. They were Personal Fitness and Personal Management. Neither of these are easy to earn and took a while to complete. He has started writing his project and has begun making contacts for supplies. Things are starting to move forward and with hopes of not jinxing myself I hope to be standing on stage sometime in 2012 and putting the Eagle neckerchief around his neck. Hopefully the next update will come soon! So I have run into a dilemma in my Scouting career. It is not a big problem and one that should be easily answered but a dilemma none the less. 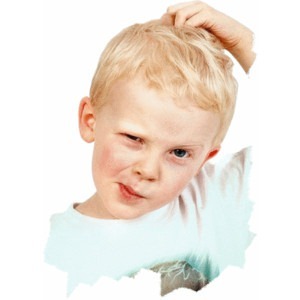 I am trying to decide if I want to staff to the 2013 Jamboree. For most people this is a no brainier but for me it presents a real challenge. As many of you know I am seriously overweight. I made an attempt to to lose the weight to go on a Philmont Trek with our Troop and failed miserably. Following that my son decided that he did not want to go to Philmont and dropped from the crew. It was a decision that nearly broke my heart. I so want him to go to Philmont and fear that he will regret not going later in life. Since that time he has signed up for a Sea Base Crew together with my wife and will be going in June. That eases the pain and I am finally over it. Since my post about the Philmont Journey my youngest son has crossed over to the Troop and is now signed up to attend the 2013 Jamboree at the Summit. My oldest son went in 2010 and was a Patrol Leader and has not interest in attending as a participant again. We have talked and he does seem to have some interest in going as OA Staff but nothing definite yet. I would like the opportunity to go as staff and be there with both of my sons. Per everything the BSA has put out there will be strict guidelines in regards to the BMI a person must have in order to attend. I get that in my current shape that I would be a risk so I have to abide by the standards. Below is the video that Tico Perez made regarding the standards. So that brings me to today. In order for me to be able to attend I must lose over 100 pounds. I would like to go but that is a huge task. I have actually started the application process but right now I have stopped and I am trying to make the decision if I can actually pull this thing off or not. So what do you think? Could you do it? Let me know. So my family’s final campout with Pack 163 is part of history. 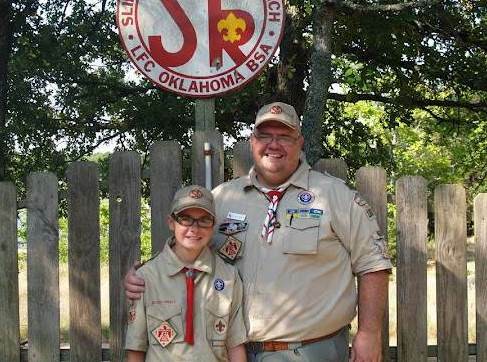 We have been is Pack 163 since my oldest son joined Scouting as a Wolf in 2002. We had just moved to a new home and a new school system and he bugged his Mom to join Scouts until she caved. I was working evenings at the time so my involvement was very little. That changed in 2005 after I accepted the position of Pack Committee Chairman. When I accepted the position there were still a couple of folks in the Pack the were accustomed to doing things the way that had always been done. One of those was at some point in time we were setup as a feeder to one Troop and only one Troop. We also never camped as a Pack as it was “too much of a pain and work”. The following year I became the Cubmaster and I immediately changed both of those things. 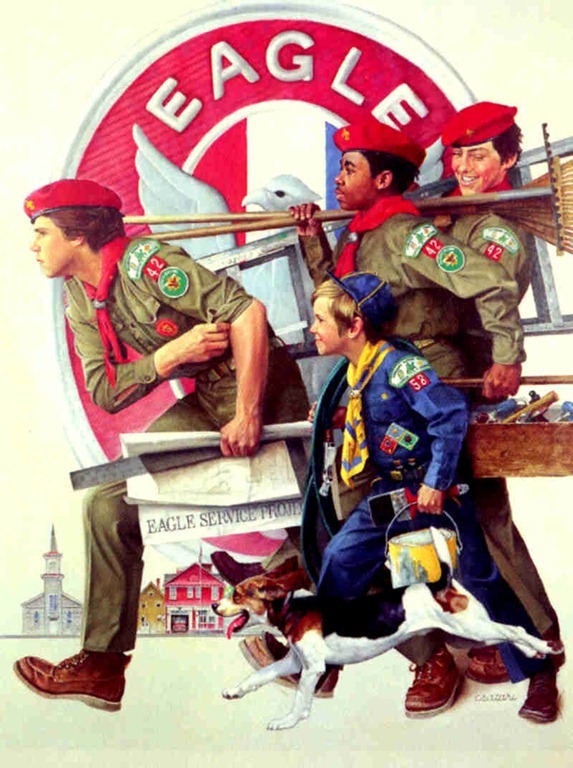 My attitude has always been that the Scout should go where he fits and where HE chooses. I was told that our Scouts always went to 123 Troop and the will always go to 123 Troop. Not on my watch! The year I took over the first Scout in years rebelled and joined the Troop we are now in today. The following year my son’s Webelos Den crossed 8 boys over to four different Troops. That year I became Cubmaster I also offered the first Pack Campout in the spring. All of the old guard was gone and I finally had no resistance to it. I put together a flyer and a cheap price and sent it out to the Pack. The response was great. That first year I began the tradition of performing the rank advancement ceremonies at the campfire on Saturday night. A lot of the Packs around us use Blue & Gold to do this but I have never been a real fan of it. The kids love getting them in front of the fire and the parents and Scouts have great memories. A couple of years ago we added a campout for fall. 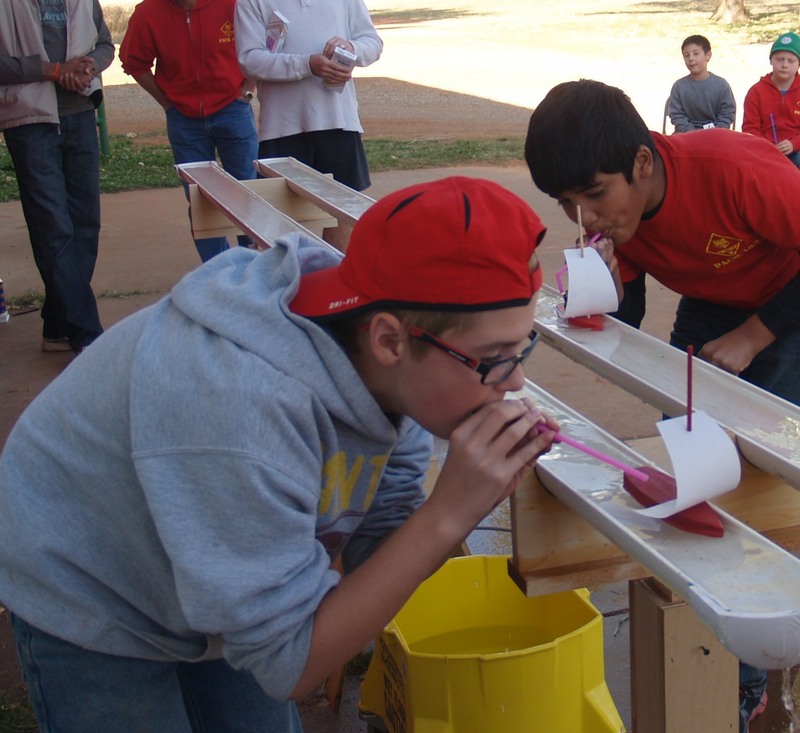 I also started the tradition of running our Raingutter Regatta at the fall campout to promote attendance. I can honestly say I am going to miss it. There is nothing like seeing the faces of the Tigers shine on their first campout. There is also nothing like seeing the Webelos that you have watched since they were Tigers put up their own tent and show a younger Scout how to do it as well. So for the final time we have hauled out the chuck box and all the gear necessary to feed an entire Pack. I watched one of my son’s participate in a Raingutter Regatta race for the last time. For the last time I have participated in a campout with all of the Scouts of Pack 163. Every year our Scouting district has an event called Octoberfest (no beer or Polka bands allowed). All of the willing Troops in the district setup at a local Sportsman’s Club and the Webleos come and visit all of the Troops all in one night. Recently, many Troops have come up some type of gimmick for the Webelos to do while they visit them. While I am not a fan of the gimmick side of things, the Webelos LOVE it. I have been racking my brain for something for them to do. The event is just under a month away and right now I am drawing blanks. Yes, I have asked our Boy Scouts and none of them seem to have a good idea. Traditionally, we have served cobbler from Dutch ovens and while it worked in the past it has lost it’s luster. It doesn’t exactly stack up against survival bracelets, BB Shooting, rope making, etc. I am sure the traditionalist would say that we need to just stick to the basics (knot tying, cooking, talking to them) but the basics don’t seem to draw a crowd for this event. So you probably wonder where I am going with this. Well, I need your help. First, do you have any one night recruiting events like this in your council/district? Secondly, what ideas do you have that might help us out? Leave me a comment and let me know. Thanks! !